When I wrote about how to get a six pack, I hopefully putted it clear enough, that there are no specific magic exercises which will pop up your abs no matter what. Still, you will see some non-magical ones today! 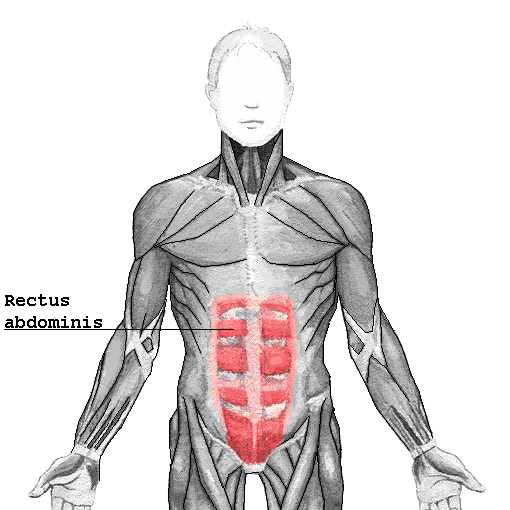 One: Abs are muscles like all the other muscles. If you want to increase their volume, you need to train them with heavy weights and give them rest inbetween. Two: If you do “proper gym training”, meaning lifting free weights which normally includes exercises like squats, deadlifts and rowing, you train your core already a lot. Pick exercises, where you can add weights. Go heavy. At the same time, be carefull with your: You can actually ruin your back. Do 3-4 sets per exercise with max 12 reps per set. 1000 crunches per day won’t help. Also being just skinny doesn’t help: if the muscles are too small, no one can see them no matter how low body fat. If the abs are easy to get visible depends also on your genetics. Remember rest days. Muscles grow when they rest. Then the truly entertaining part: Records about this morning’s exercising! This was actually not planned when waking up, so next time: Styling, not the crappiest gym clothes, make up, proper screenwriting, camera man or woman, editor… Maybe an assistant and catering as well? For the first exercise I use the bench pictured above. 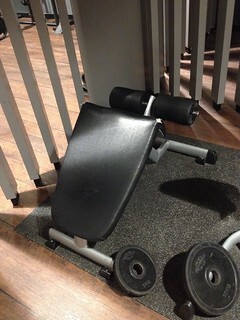 For the actual exercise (I of course filmed just a super short snap of it) I use 10 kg weight and aim doing 10 reps. Right after that I do 10 reps with 5 kg and finalize with 10 reps without weights, total 4 sets (yes, actually with 30 reps so I am kind of breaking the rules I just told you). Anyways, this exercise is extremely hard. This second exercise I did in the rack where you normally see people doing dips. The point is to first rise straight legs, after that just your knees. Normally I do 12 reps each, again four sets. To be quite honest, I could rise the knees a bit more than I do. If you want to do short and effective abs workout, I can only recommend these two – have fun trying!